PHOENIX — When Tom Petty crooned about all the career milestones achieved by a one-hit wonder in his early ’90s single, “Into The Great Wide Open,” he probably didn’t think “rock the Super Bowl” would ever be one of the must-have markers on the road to rock ‘n’ roll greatness. Nor did Petty likely think such an opportunity to play for literally millions of football fanatics would be in his grasp. (Last year’s performance drew in more than 140 million viewers in the U.S., according to the NFL.) But it will be when the lucky Petty and his long-time backing band, the Heartbreakers, play the halftime show during Super Bowl XLII on Sunday, Feb. 3. While it’s unlikely that Petty will have to battle the rain and wind at the University of Phoenix Stadium like last year’s performer, Prince, he will have the formidable challenge of proving that he isn’t just a nostalgia act while simultaneously playing his most-famous songs from two decades ago. So what will Petty do? He will do what he always does. He will rawk. An endearing singer-songwriter and red-blooded acolyte of classic rock, Petty is an unashamed, working-class bar-rocker, but one with some pop-music smarts and an everyman vocal delivery. In his prime in the ’80s and early ’90s, he was slightly more sophisticated than an embarrassing hick-greaser like John Mellencamp or the king of piano schmaltz, Billy Joel. Petty, however, was never the kind of mythic artist who seemed capable of tapping into the zeitgeist like a Bruce Springsteen. It’s unlikely any Petty song inspired you to drive across country on an adventure. Rather, his soothing tunes like “Free Fallin’,” “I Won’t Back Down” and “The Waiting” accompanied you on the way to work, got you there on time and put you in a good mood. Petty had an impressive string of monster records — both with and without the Heartbreakers — that made his un-photogenic, scarecrow visage a constant on MTV and established him as a music figure of such stature that he was welcomed by his classic-rock heroes as one of the boys. Looking back now, it’s hard to believe that when Petty was a member of short-lived, all-star band the Traveling Wilburys in the late ’80s alongside Beatle George Harrison, Bob Dylan and Roy Orbison, it was Petty who was the biggest star and the group’s major selling point. From hobnobbing on rock’s Mount Olympus, Petty playing the Super Bowl might seem like just par for the course. It’s quite the opposite, however. This opportunity comes at a critical time for Petty, whose career has cooled considerably since he was duking it out with Mellencamp and Joel to see would rule the ’80s rock ‘n’ roll roost. A reunited Led Zeppelin or the even reconvened Eagles would arguably be more widely-sought-after by the football-loving audience, but Petty is primed to turn this set into the spark for a comeback. He and the Heartbreakers are currently celebrating the release of their debut 31 years ago. At the same time, director Peter Bogdanovich recently completed a documentary “Runnin’ Down A Dream” lavishly reviewing the band’s history. Just how Petty plans to make the most of this once-in-a-lifetime chance remains a mystery. One thing is for sure: He won’t be following last year’s game plan. Petty recently told Rolling Stone magazine that a Prince-style medley of his greatest hits wasn’t too likely. “I doubt we’d do a medley. We’ve never done a medley and I can’t picture us doing one. It’s not the kind of band that can remember a medley,” he was quoted as saying. Instead, Petty hinted that a short, high-energy set is likely in the cards. His concept recalls the traveling package tours from the 1950s and ’60s, in which artists ranging from Buddy Holly to Motown to the Beatles performed next to lesser acts. “I’m just approaching it as a pretty high-energy rock ‘n’ roll show — maybe like it used to be in the 1960s where you come on, do four or five of your best numbers and get off,” he was quoted as saying. This jives with reports from earlier this month in the Arizona Republic newspaper that said Petty fans were being enlisted to appear on the field when the group hits the stage. With this idea, might we expect rock-ier old chestnuts like “Breakdown,” “Refugee” and “Runnin’ Down A Dream” to be on the set list? 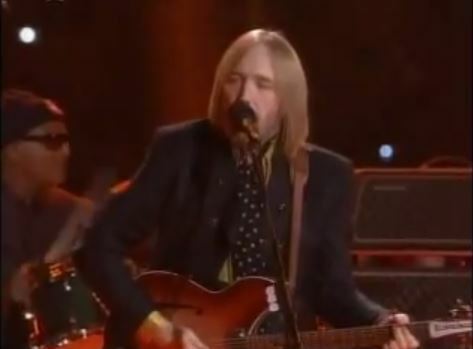 If Petty makes any compromises with theatrics, it might be in who performs with him. Perhaps a more likely special surprise would be a guest appearance by Fleetwood Mac singer and Phoenix native Stevie Nicks. Petty and Nicks, of course, shared vocals on “Stop Draggin’ My Heart Around,” a hit that ignited her post-Mac solo career. Such a moment would surely be a ’70s rock fan fantasy. However, Petty has often groused in interviews about how that single’s release off Nicks’ solo debut took thunder away from his own smoldering career. It would also take some ego-swallowing for Petty to surrender some of that much-coveted Super Bowl limelight to the great Chiffon one. Petty will undoubtedly have the biggest platform any artist can perform upon, but he and the Heartbreakers won’t be the only show in town in relation to the big game. In a move reeking of shameless self-promotion, Fox, who is broadcasting this year’s game, has enlisted the latest “American Idol” winner, Jordin Sparks, to sing the national anthem. But, outshining Sparks’ star-making debut — and showing even greater depravity on the part of Fox organizers — is the rumors that continue to swirl that “Idol” judge and every pop star wannabe’s safety blanket, Paula Abdul, might perform her latest single with fellow judge Randy Jackson during the telecast. You can be sure that should Fox usher Abdul out on stage, the ’80s has-been will be a greater topic of discussion than the latest neophyte star their most-watched show has birthed. Music won’t be confined to game day. In the days leading up to the Super Bowl, a series of concerts are also planned to celebrate the event. Rapper Ludacris is scheduled to perform at ESPN The Magazine’s Next party on Feb. 1. The next night, Soulja Boy Tell’em is expected to hold a dance challenge, featuring athletes at an ESPN The Magazine event, according to KPHO-TV. Meanwhile, R&B singer Mary J. Blige and pop-rock hitmakers Maroon 5 will perform at “The VH1 Pepsi Smash Superbowl Bash” on Jan. 31. Finally, folk-rock troupe Counting Crows is headlining a free concert at Tempe Town Lake on Feb. 2, marking the first time the NFL has staged an official celebration the night before the Super Bowl, KPHO-TV reported. Come halftime though, it will be Petty and his bandmates alone who will have the eyes of the world on them. He will have to prove why he was once classic-rock great champion. Either that or he’ll be unconciously writing another possible lyric that he didn’t imagine for “Into the Great Wide Open.” With so many benchmarks bested years ago, the old rock star is shuffled off stage to the dustbin of history. Tags: Heartbreakers, Phoenix, preview, Super Bowl, Tom Petty. Bookmark the permalink.